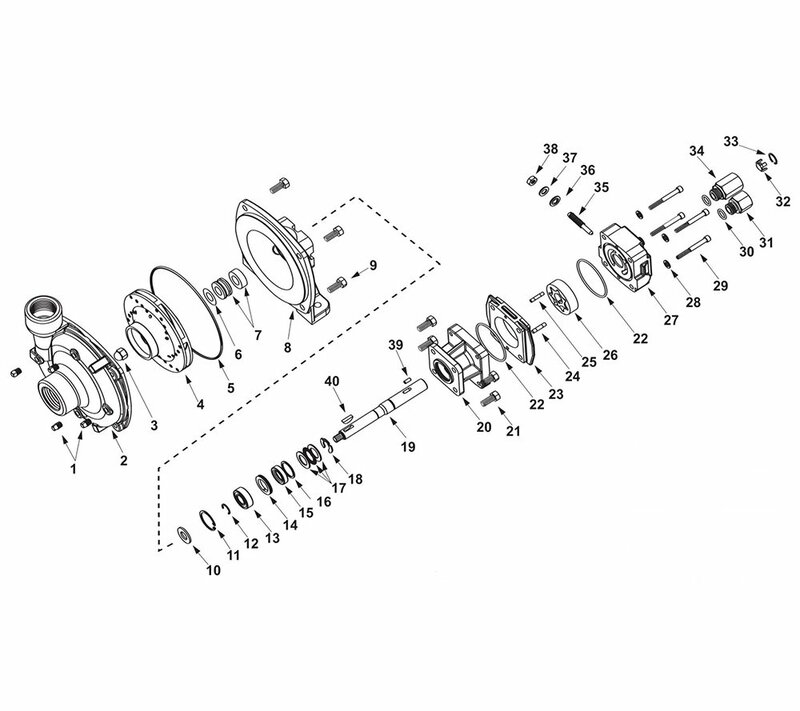 This Hypro 9302C-HM2C Centrifugal Pump is tooled for low-pressure spraying in many kinds of agricultural settings. With a pressure rating of 96 PSI and a flow rate of 65 GPM, it's an ideal choice for deploying herbicides and insecticides as well as water, emulsives, liquid fertilizers and wettable powders. Its sturdy housing is built to withstand strong chemicals, which also makes it perfect for agricultural use. Hypro centrifugal pumps are designed for agricultural and industrial spraying and transfer of a variety of fluids: water, insecticides, herbicides, wettable powders, emulsives, liquid fertilizers, etc. Hypro Series 9300 hydraulic motor-driven centrifugal pumps provide smooth performance. They can be conveniently mounted on the tractor or sprayer, becoming part of the vehicle's hydraulic system and freeing the PTO for other uses. 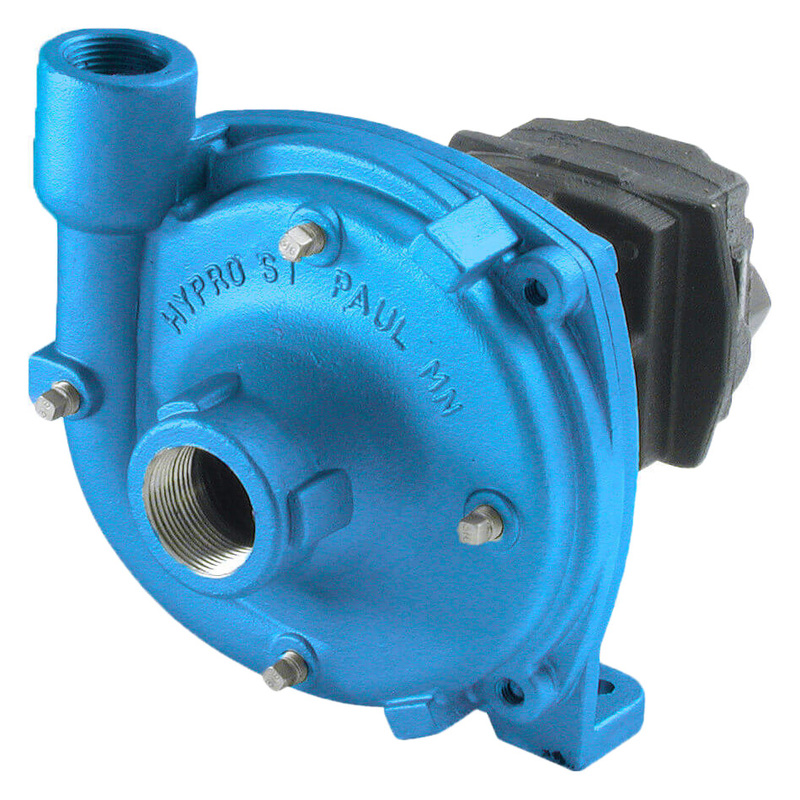 The Hypro "close-coupled" design reduces the mounting space required, eliminating long shafts and couplers between the pump and motor. The broad, versatile line includes models with rugged housings of cast iron and stainless steel that stand up to strong chemical herbicides. Stainless steel pumps are ideal for use with Roundup or other acid applications. The series includes models 9302C-HM1C, 9302S-HM1C, 9302C-HM2C, 9302S-HM2C, 9302C-HM4C, 9302S-HM4C.